#musicmoves Cville Sabroso Festival dancers! 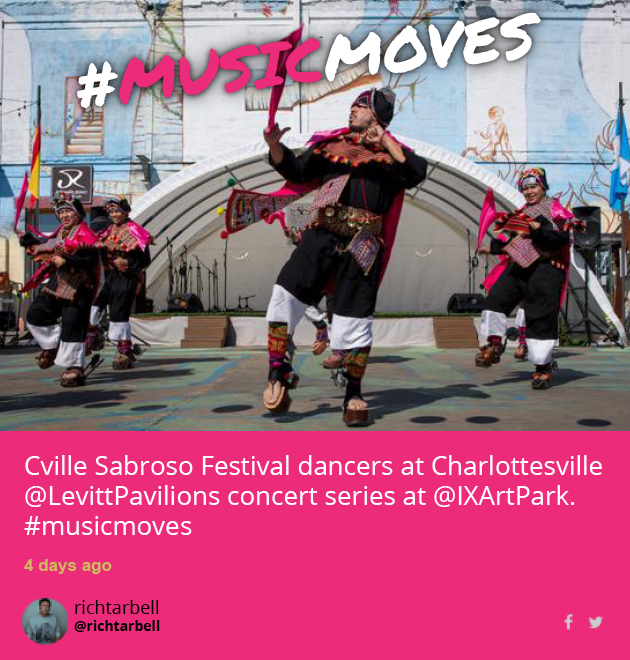 Music was definitely moving the Cville Sabroso Festival dancers last month during Charlottesville’s Latin American Arts Festival! Thanks @richtarbell for capturing the color and energy of the festival in this great shot. Cville Sabroso—Charlottesville’s annual celebration of National Hispanic Heritage Month—brought live folkloric, traditional and fusion music, dance and visual/performance art to the IX Art Park lawn and Levitt AMP Charlottesville stage. Levitt AMP audiences were treated to festive music by 10-piece Latin jazz/salsa band Conjunto Sason, Norteño group Agave and opening Mexilachian duo Lua. 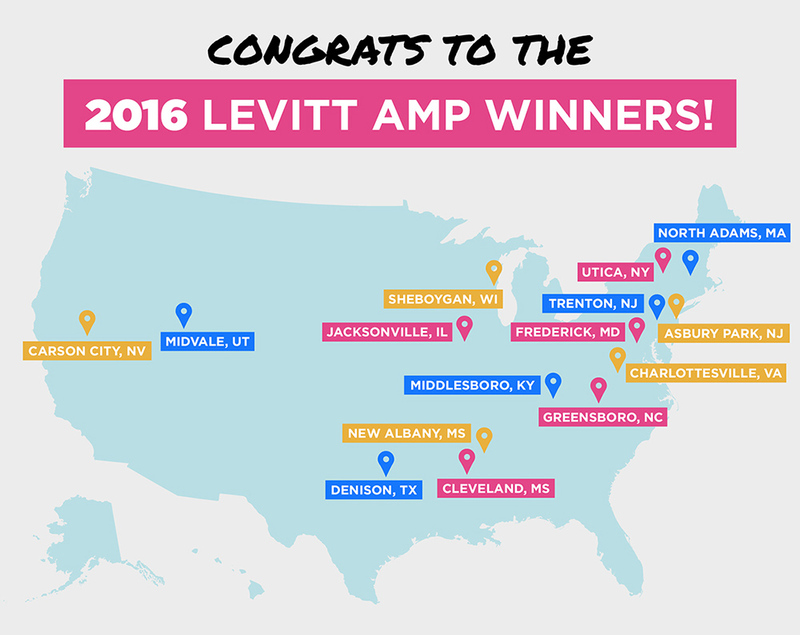 There’s still time to share your Levitt concert pics on Twitter and Instagram with #musicmoves for your chance to win a $100 iTunes gift card—image submissions will be accepted through October 31! See the #musicmoves September winner. 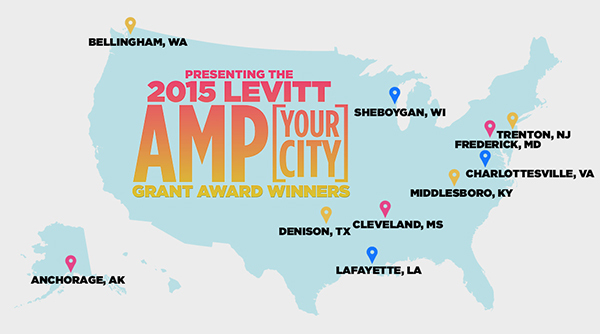 This entry was posted in #musicmoves and tagged Agave, Conjunto Sason, Cville Sabroso Festival, Levitt AMP Charlottesville, Lua on October 19, 2015 by Nicole McGaffey.